Nä Hökü Hanohano Award Winner-Male Vocalist of the Year 2001 and Liner notes and Hawaiian Album of the Year 2010! "Uluwehi Sings Na Mele Hula Aloha" is awarded two Na Hoku Hanohano awards for Liner notes and Hawaiian Album of the Year! Click here for song samples and more info! Aloha Kakou! 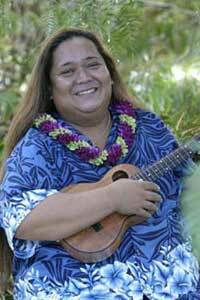 Welcome to the official website of multi-award winning Recording Artist, Na Hoku Hanohano recipient and Kumu Hula Uluwehi Guerrero. We hope you enjoy the information and sound samples provided. Mahalo Nui for supporting Traditional Music and Culture of Hawaii.